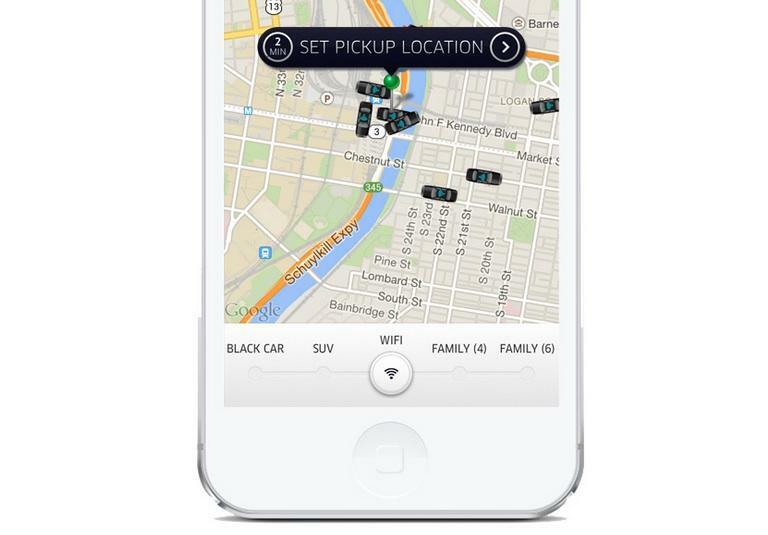 Uber is already dominating the car service industry with its easy-to-use app and aggressive pricing. Now the company is offering another service that should help attract even more customers. Thanks to a new partnership with Google, the company is announcing a new UberWIFI fleet of cars that will offer free internet service in Philadelphia for the rest of the summer. If you're in Philadelphia you can try out the new service by booting up your Uber app and sliding the button over to "WIFI," which should show up right after the SUV model. All UberWIFI cars will seat up to four passengers and cost the same as the company's fleet of regular Black Cars. Uber also notes that the new internet-equipped cars are likely to be in high-demand, so you may have to wait a bit longer before your car shows up. The new offer is good starting today through Labor Day, though it's unclear if UberWIFI will shut down entirely once the summer is over. Hopefully this is just the beginning of the new partnership. Google is clearly impressed by Uber's business model, and offering free Wi-Fi is a smart way to bring the two companies closer together.